Fall in a great time to put together some sophisticated fashion and style outfits. It might be time to put away your shades and sandals, but you can start layering when the leaves start to fall. The trends might be slightly different every year, but there are always some stylish tricks you can rely on for the fall season. If you can’t wait for that first chill in the air, it’s never too soon to start thinking about your outfits for the new season. Have a look at some of these ideas to incorporate some of the latest trends for some chic fall looks. Valentino Baby Blue Dress. BUY NOW!!! You don’t have to put your dresses away when summer ends. However, it is the perfect time to get some new ones. Take a look at some beautiful boutique dress styles to find something that you’ll feel comfortable and look great in. Soft swing dresses are ideal for fall, with their loose fit that still gives you some shape. Get a cozy long-sleeve one to keep you warm as the nights get longer. You can pair it with some glamorous boots and your favorite jewelry for a look for the office or brunch with the girls. Giuseppe Zanotti Boots. BUY NOW!!! It’s too hot for boots in the summer, but you can bring them out once fall arrives. Boots offer you so many options, from dainty ankle boots to long and leggy thigh-highs. They can give you just what your outfit needs and they’re often more practical too. If you want to make a statement with your boots, go for one of this season’s favorite colors and get a pair in red. Choose any shade of red you like to make a powerful impact with your feet. 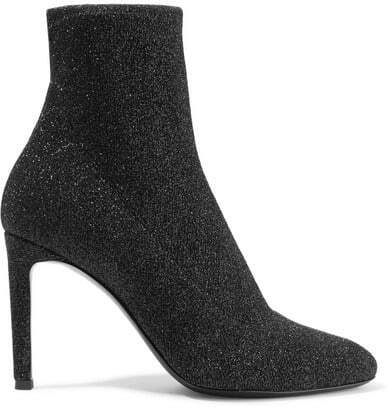 Glittery boots also made an appearance on the runway for fall/winter 2017, so keep a look out for them in stores too. 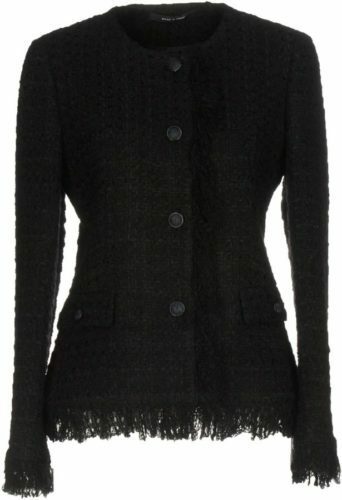 Jalouse Women’s Blazer. BUY NOW!!! When there’s a chill in the air, you need to keep warm. But if it’s not too cold just yet, it’s not time to put a proper coat on. A jacket is always a nice compromise, and it doesn’t have to be just an afterthought once you’ve put the rest of your outfit together. Make a statement with your jacket by wearing a boxy blazer. Whether you like it or not, shoulder pads are making a comeback, and they can really make an impact. Citizens of Humanity jeans. BUY NOW!!! Even when you’re feeling super casual, you can still have a sophisticated air. Dressing up your more casual clothes is a clever idea for fall. It gives you a smart-casual look that’s not too sloppy or too over the top. Try a smart skirt with a casual jacket, or your most comfortable pair of jeans with a faux fur coat. It’s an excellent way to feel comfortable while still looking your best. Complete your fall styles with a must-have handbag by Angela Roi. In conclusion, get ready for fall by planning your fabulous fashion outfits now. There are some stylish fashion trends to follow this year so don’t miss out.